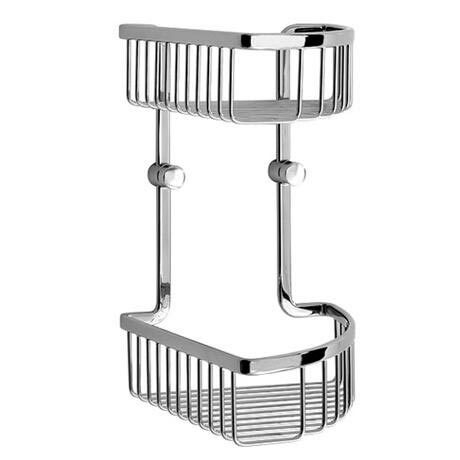 This chrome double corner soap basket provides an elegant storage space for your soap and toiletries. The Smedbo loft range is a high quality accessory range with several different items available. Loft - Corner Soap Basket Double in Polished Chrome. The 10 year guarantee does cover rust. The item shouldn't rust, but in the unlikely event that it does, you have the peace of mind of knowing that it will be replaced under the guarantee.